Go from Incheon Airport to Seoul in as little as 43 minutes with this AREX Airport Express Train ticket. Take the Airport Railroad Express train to go from Incheon International Airport to Seoul Station in just 43 minutes (approximate time for travelers departing from Terminal 1) and 51 minutes (Terminal 2). 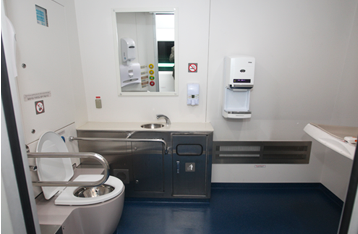 Seats at the airport express trains, as compared to the all-stop trains, are more comfortable. More perks also await express bookers. While you can purchase your train tickets for Incheon to Seoul and vise-versa over the counter at Incheon International Airport, you may find that booking online will save you time and money. You can check the rates here. Full item description of the one-way AREX airport express tickets are provided below. With an AREX airport express ticket, you are guaranteed to have a coach seat when traveling from Incheon to Seoul and vise-versa. The seats recline and have stowable desks for passengers to use. This is a more comfortable way of traveling, as opposed to the all-stop train’s bench-like seating arrangement, which also prioritizes standing-room passengers. Need assistance or special care for your travel? 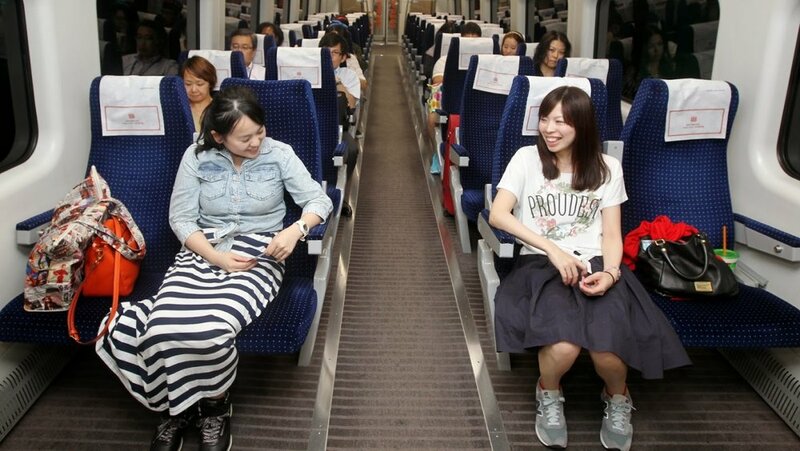 You can rely on AREX airport express trains’ cabin crew to help you. If you do not want the hassle of lugging your bags as you make your way to the boarding area at Seoul Station, you may take advantage of the porter service that comes with the purchase of an AREX airport express ticket. Sure, having a toilet inside the train may be the least of your concern as you prepare for your Korea trip, but having this space to get changed, put some powder on, cleanse your face, and you know, answer nature’s call, would prove very helpful. Trust me. 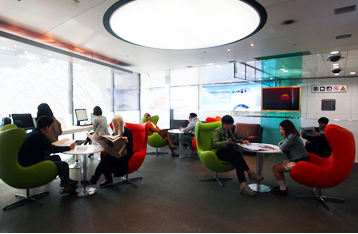 When you buy the AREX airport express train ticket, you’ll get automatic access to the customer lounge located at Incheon International Airport Terminal 1. Aside from these, other services and amenities offered at and by the airport express trains include a Kids’ Zone inside the train, electronic cart rides at the airport, and complimentary use of shuttle buses for affiliated hotels (for a list of AREX’ partner hotels, you may inquire at the AREX booth found at the airport’s Transportation Center). PRICE: ₱378 or $7, if not discounted! Ticket price from Klook does not include the deposit of ₩500 (₱24 or $0.45) and the extra charges for travels to other metro stations, if applicable. Your one-way airport express train ticket can be used from Seoul city center or from Incheon International Airport. Airport express trains run on a very tourist-friendly schedule with frequent departures. Pick up your airport express train ticket at Seoul Station or at the Incheon International Airport. Note that you can only redeem one airport express train ticket at a time on the vending machine. Moreover, you will be unable to select your seat/s. You can present either a printed or a mobile voucher at the redemption booths. You must present your voucher in exchange for the physical AREX airport express ticket. The voucher is valid on any day before 13 February 2019. The claimed airport express ticket will be valid on the day of redemption only. Show the 13-digit code of your AREX ticket to the Information Center staff. To view the expected arrival times of the airport express trains to Incheon International Airport and/or Seoul Station, click here. Don’t forget! If you’re planning to take the AREX airport express trains when you go from Incheon to Seoul and vise-versa, you must make the booking twice! Passengers are required to pay a ticket deposit of ₩500 (₱24 or $0.45) at any of the redemption locations. This deposit can be refunded at the refund machine located near the turnstiles upon exit. If your final destination is a metro station aside from Seoul Station, there is a surcharge of the normal metro fee between Seoul Station and you final stop. Extra charge of at least ₩1,350 (₱65 or $1.2) applies. Airport express trains run at an interval of 25-40 minutes. During off peak season, train frequencies may be low. Please check the timetable in advance and have your schedule well arranged. You will receive a confirmation email and voucher from Klook instantly after booking your airport express train tickets. If you’d like to learn more about other modes of transportation aside from the airport express train, read our handy guide here: Incheon to Seoul.